foXnoMad is one of the most established individually written travel blogs online, with an annual collective audience of nearly 9.4 million readers worldwide. Since I created foXnoMad in 2006 it has been featured in PC World, Lifehacker, Smart Money Magazine, Consumerist, and lots of other places. There are many ways your company or service can reach my audiences, these are just several popular options. You can sponsor one of my upcoming posts or existing pages (e.g. Countries). I retain all editorial control of the content – the posts themselves aren’t for sale and I don’t allow advertorials. But if you’ve got a product or company and we’re a good match, you can let my readers know about it with a blurb atop my next article or a destination page. There are several spots where you can show off the best you have to offer. Banner ads can be placed on the homepage, individual pages and in various spots like the sidebar or the header atop the main menu. My bi-monthly newsletter is subscribed to by nearly 900 people and covers content from all of my sites. 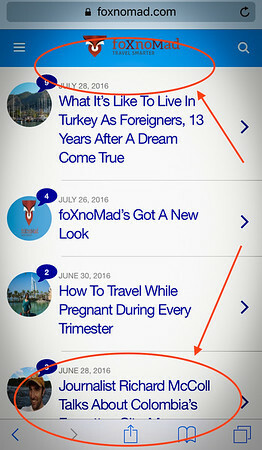 There are a number of ways to advertise on a single or recurring edition. You advertise directly to my web and tech savvy audience who loves to go mobile – both literally and digitally. 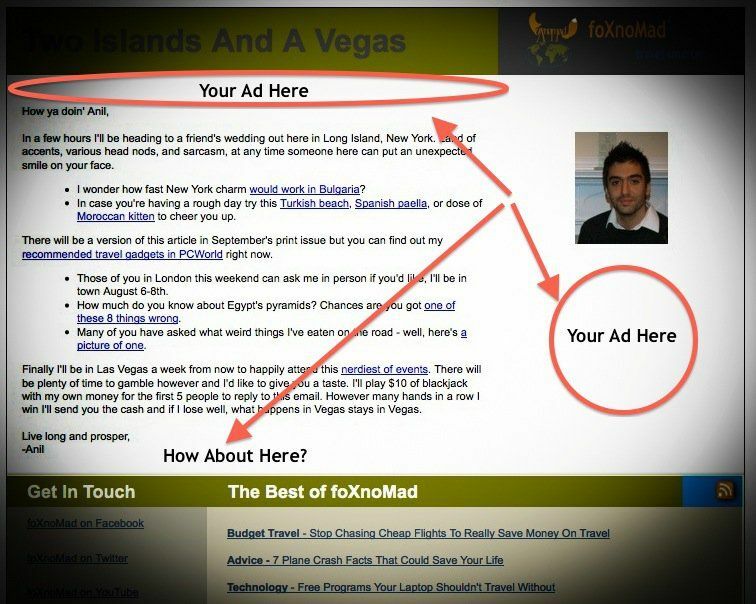 There are still other ways to advertise and if you’re interested, feel free to send me an email anil (at) foxnomad.com or use this contact form.